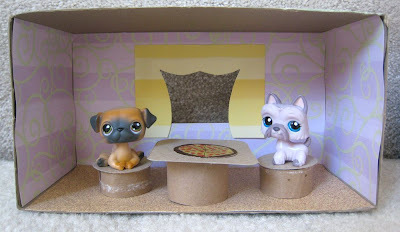 This week, F and I have been busy working on a tissue box challenge. The challenge is to create something fun with your children, by reusing a tissue box. 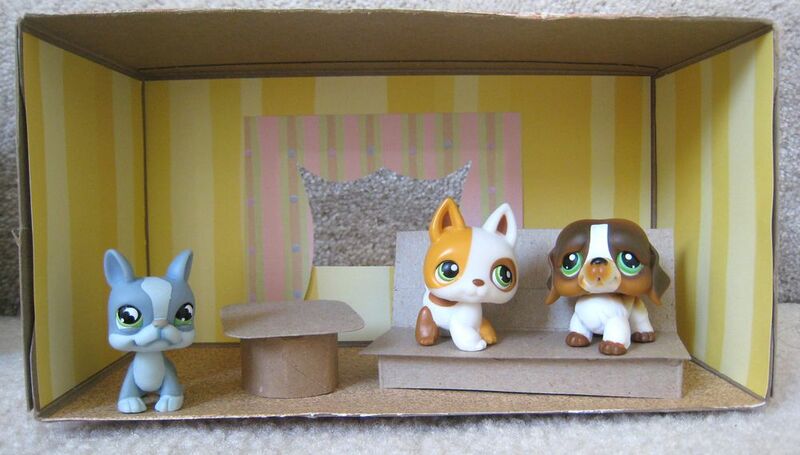 It seemed to fit well into our recycled art motif, so we got to work and ended up building an expandable dollhouse! It will be even more expandable once we use a few more tissue boxes. I cut the top off an empty tissue box, then Faith and I went through my stash of old scrapbook papers. I saved lots of bits of smaller stuff as well as extra things I just won't use. She picked wall and floor colors, then we cut it to size and glued it in. The windows are cut with a craft knife and the curtains are made from more scraps of paper folded and cut to resemble curtains. Their primary purpose is to hide the slightly messy window cuts. So far, so good. The furniture is made with recycled cereal boxes and recycled toilet tissue rolls. 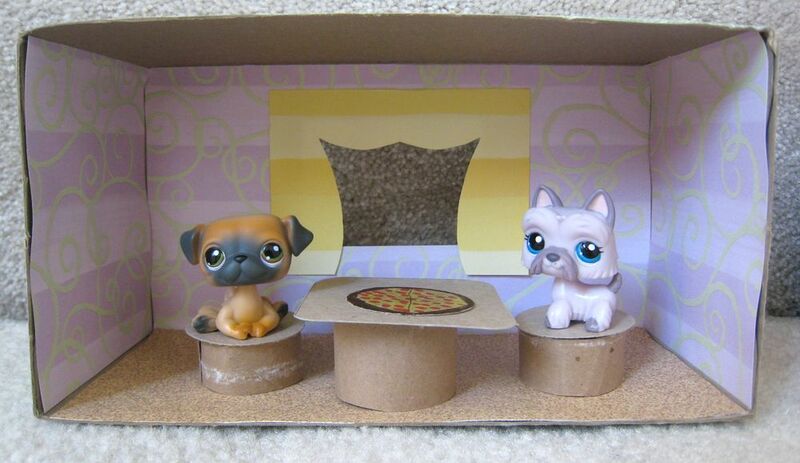 The chair bottoms and table stands are cut from tissue rolls, the tops are cut from cereal boxes. 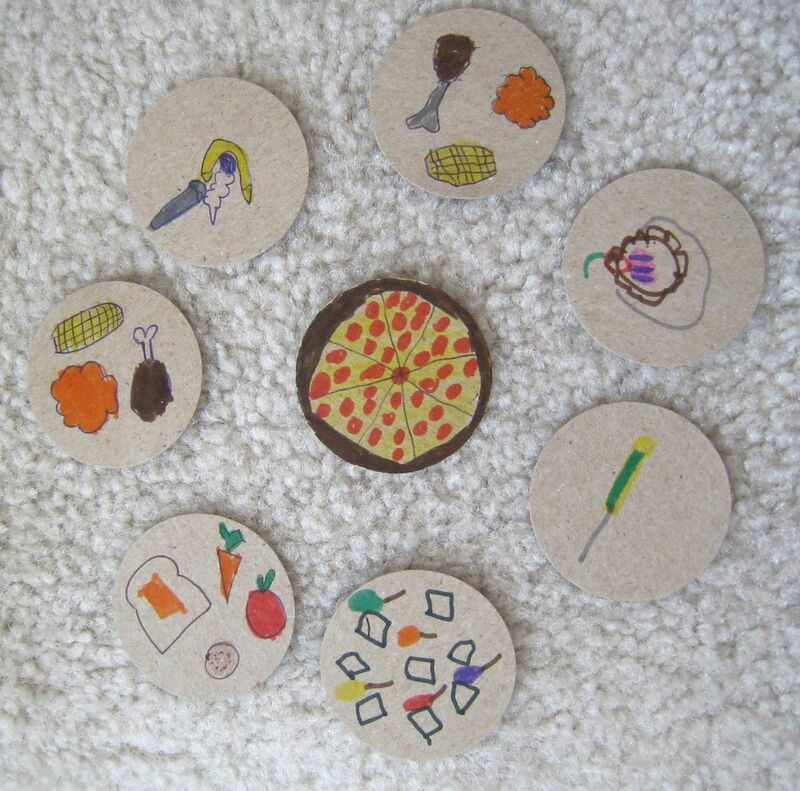 I free cut the tables but used a circle punch for the chair tops. The couch is the seam of a cereal box for support, the bottom part is a smaller box from soup mix (expanded and turned inside out). Living room close-up, we're going to try to make a lamp for the table. 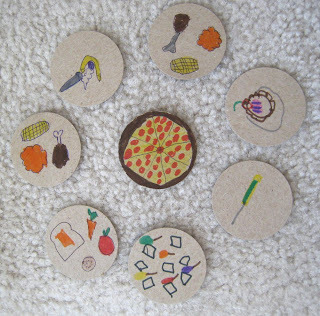 Let's see, the kids also made a bunch of plates from cereal boxes cut with a circle punch and drew assorted meals on them, it occupied them for quite awhile! Faith and I are seriously enjoying this project, we just need to get a few more boxes for rooms. I think next up, she wants to make a bedroom for the animals! Holy Cow! That is amazing! Love that you did it together! Thanks for linking up. I love this idea! How wonderful that you are going to build on it. That's great. I love it!! What an adorable house - the food totally rocks!